Sharon made eggs, bacon and scones for breakfast. 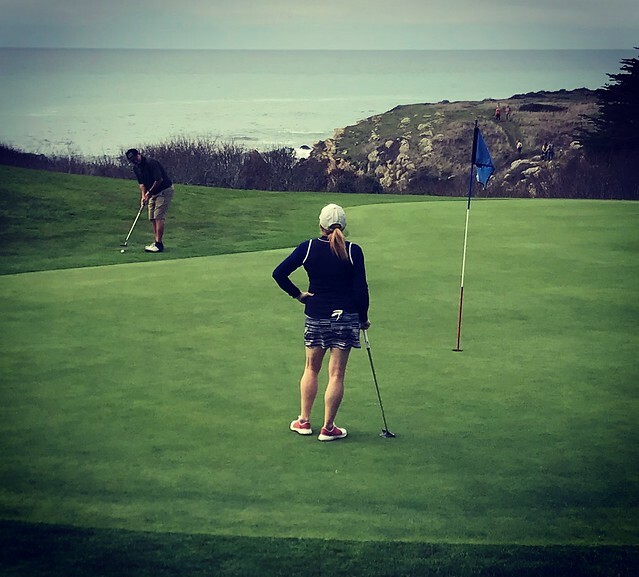 The plan for the day was to play golf at The Sea Ranch Golf Links. We had a 10:20 am tee time. After hitting a few balls on the range, we teed off about 10:10 am. Compared to last year, the weather and the course were fantastic. I ended up shooting a liberally scored winter rules 100. When I say liberally, I mean it. I took a number of mulligans and moved my ball on lots of occasions. 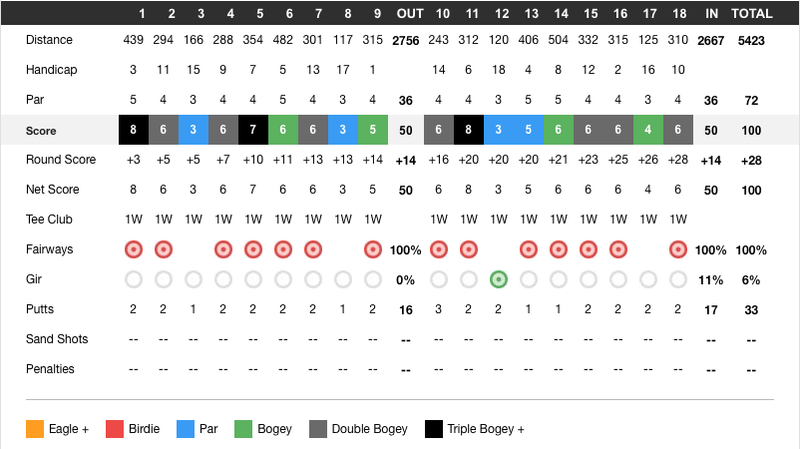 Last February, I shot a 117! I fell apart on the 11 hole, but overall, I was very happy with the way I played. My putting was very solid. I only three putted one hole. Over the course of the day, Sharon talked about wanting to play in Hawaii when we are there for Becky's wedding in February. After golf, we headed into town to the store. We got some steaks and potatoes to barbecue for dinner. Back at the house, the four of us spent some time soaking in the hot tub. Somewhat unusually, this was the only time that Sharon and I got into the hot tub all weekend. After some debate about what to watch, we finished the night watching The Big Sick on the AppleTV.